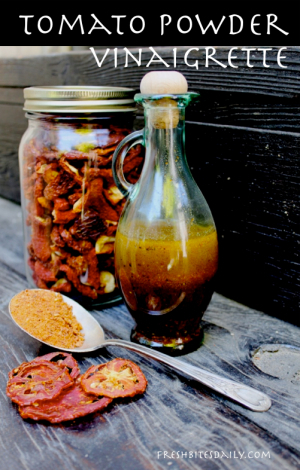 A tomato powder vinaigrette, a great flavor of the summer! Use this dressing over a fresh salad, over roasted or steamed vegetables, over cooked grains or leftover pasta, or over a pita sandwich. 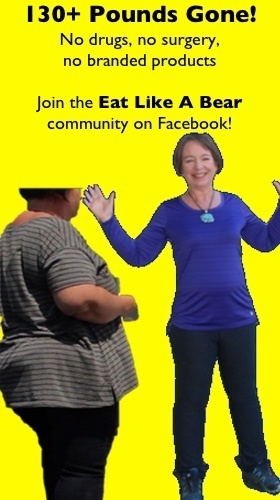 Take one taste and your creative food genius will take over! Place the first three ingredients in a jar or salad dressing decanter. Allow the mixture to sit for 15 minutes for the tomato powder to rehydrate and release flavor into the dressing. Taste for salt and pepper and make adjustments. Add one or more optional ingredients. Try adding one at a time and tasting between each addition. 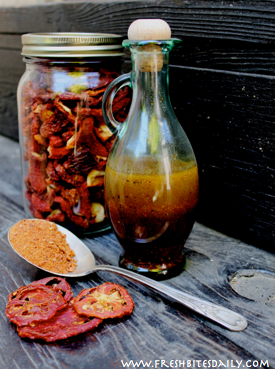 2 Comments on "A tomato powder vinaigrette, a great flavor of the summer!" This sounds really yummy. I really should grind up my dried tomatoes so I can do things like this spur of the moment. white wine vinegar. Should this be 1/4 tsp,1/4 cup or juice of 1/4 of a lemon?